The factory was first established in July of 2012 and has three workshops focusing on Tilapia, Golden Pompano and other fish products. Gourmet also maintains workshop for shrimp products; cooked shrimp, breaded shrimp and raw shrimp. 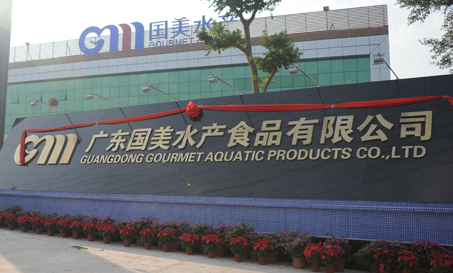 Gourmet’s 25,000 square meter facility also has nearly 6,000 MT of cold storage capacity. Gourmet has BRC and BAP certification for all the products it produces. Gourmet is a leader in the export of FOUR STAR BAP Tilapia for the US retail Market.